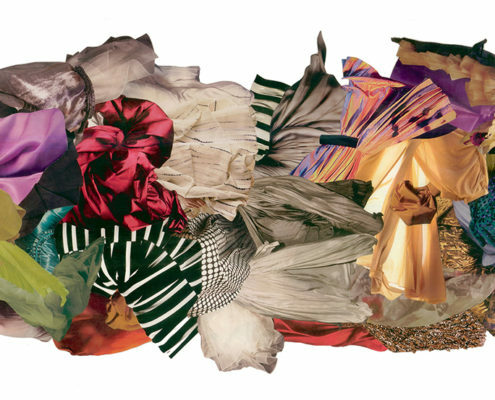 Monica Dixon’s Celestial Heap is a colorful, sensual collage composed from imagery of clothing that depicts a soft, moving atmosphere appearing to float about the viewer, free of gravity. 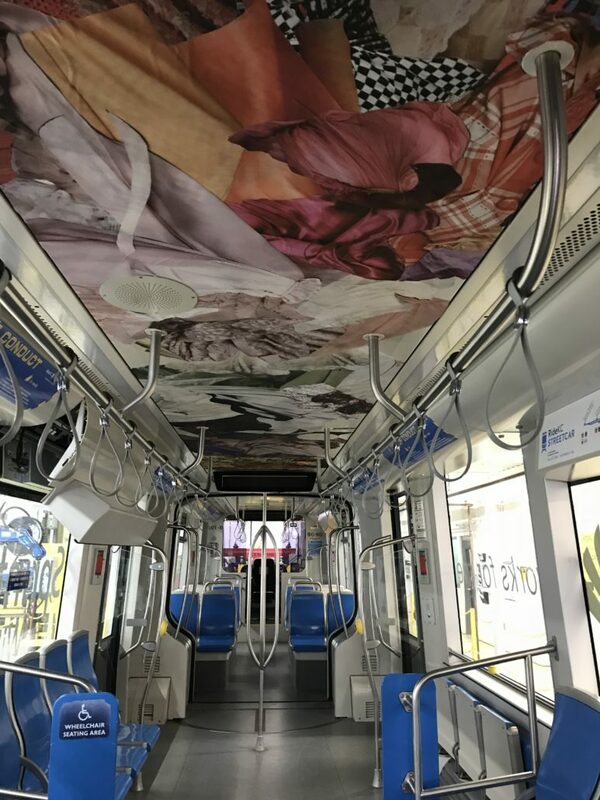 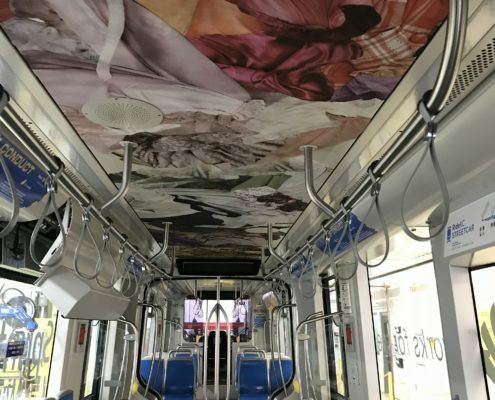 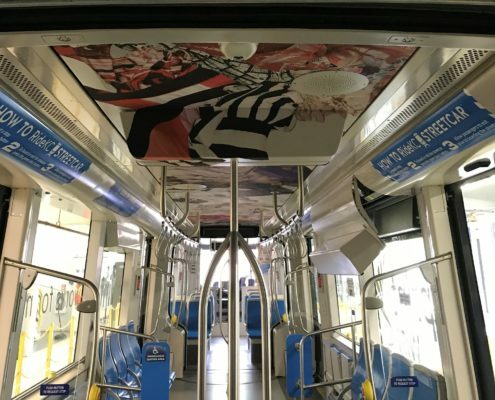 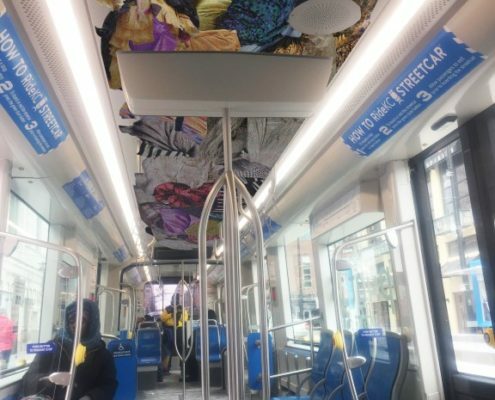 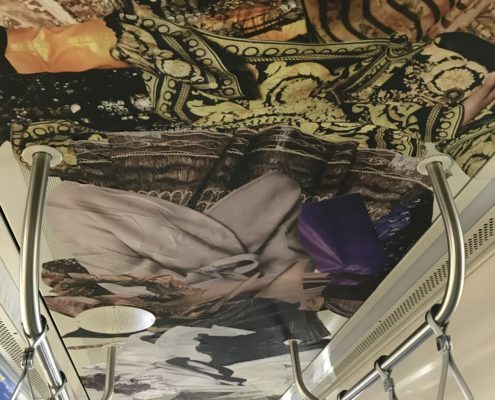 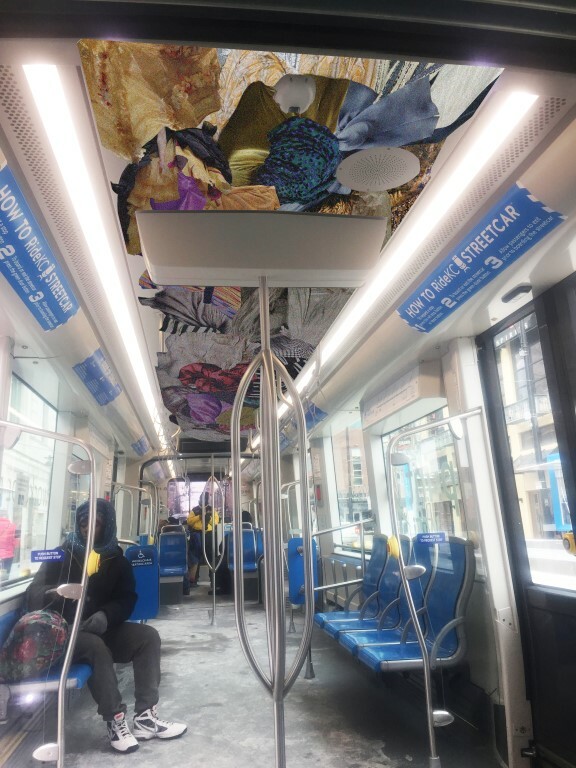 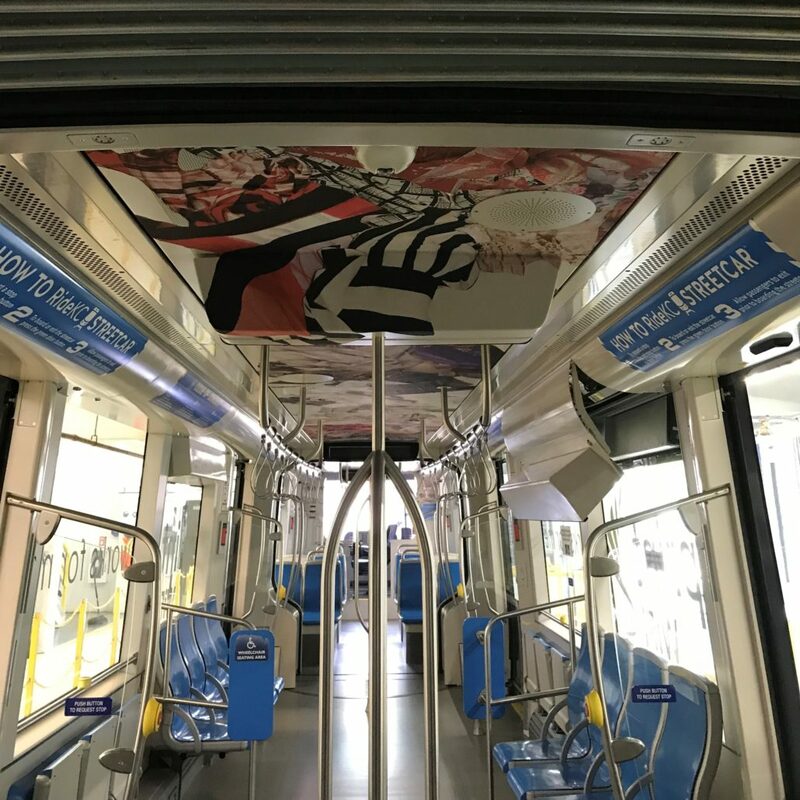 The subject of the elaborate ceiling mural installed on the interior of the streetcar is familiar but presented in an unfamiliar way, thus enticing the viewer’s curiosity and imagination by inviting riders to see the world from an altered perspective. 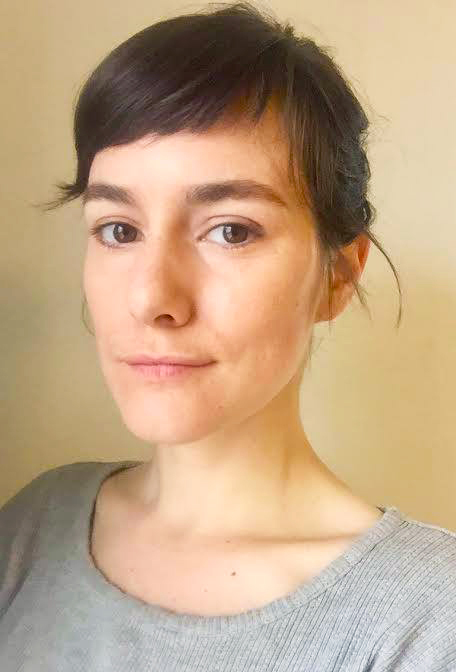 Dixon graduated from the Kansas City Art Institute with a BFA in 2011 and was a Resident at the Charlotte Street Foundation from 2016-2017. 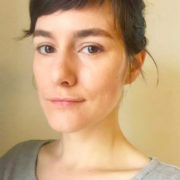 She is currently working on an installation for the Winthrop-Rockefeller Institute in Morrilton, AR. 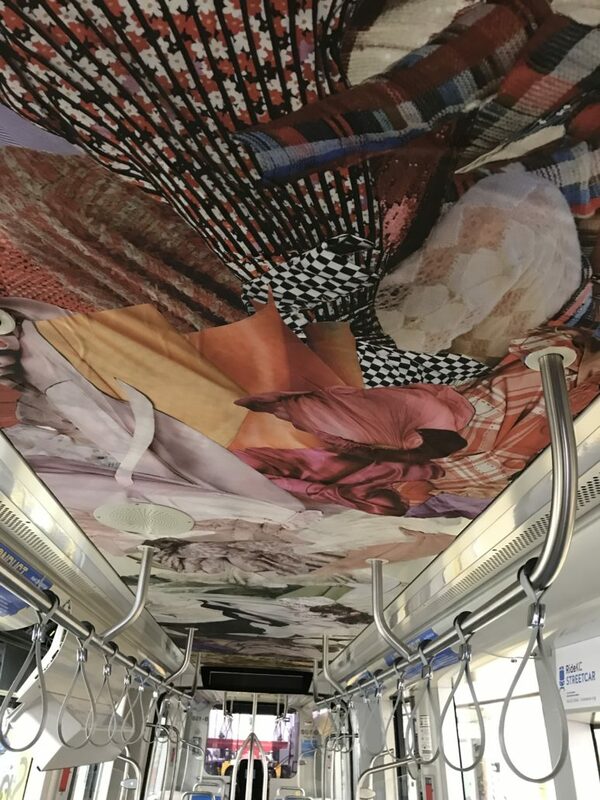 Dixon’s studio practice includes installation, sculpture, collage, costuming, and movement workshops. 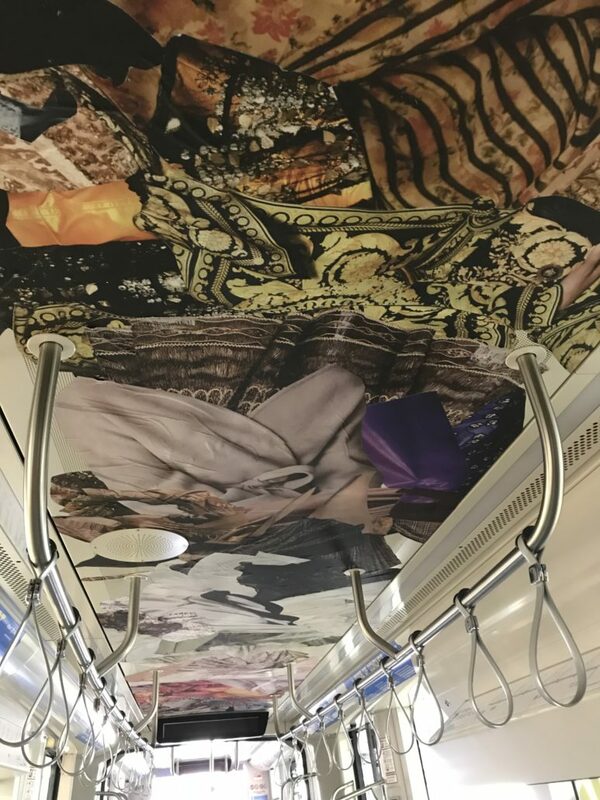 Pervasive throughout the various forms her work embodies is a fascination with exploring the elusive, seemingly intangible elements of personal reality through sensual experience. 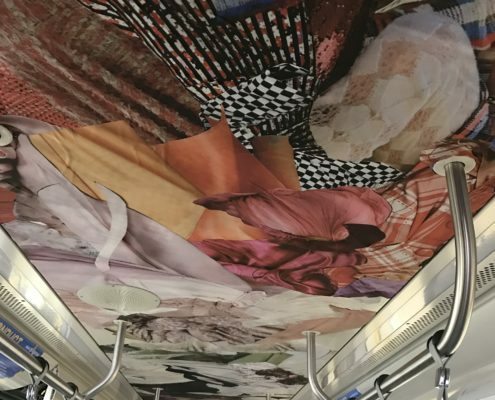 She constructs images, objects, spaces, and events meant to encourage playful exploration of the unknown and the uncomfortable.